Pakistani artist Imran Qureshi is hosting his most comprehensive exhibition to date and his first major showcase in the UK at the Ikon Gallery in Birmingham. The Deutsche Bank's Artist of the Year has put together a range of his distinctive works, which include his renowned modern miniature paintings as well as installations. Known for mixing the contemporary with the historic Asian tradition of miniature paintings, his work also commonly uses a blood stained pattern. Not afraid to address violence and injustice in Pakistan and further afield in his artwork, Qureshi has become known for his stance in representing the innocent people of the world. The exhibition continues until January 25 and is free to see at the gallery near Brindley Place in the centre of Birmingham. 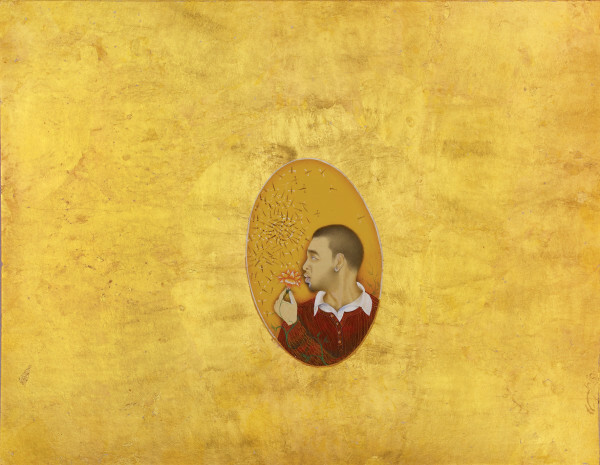 An Ikon Gallery spokesman said: "Qureshi is one of the most important contemporary artists from the subcontinent, not least because he reclaims the regionally rooted discipline of miniature painting that flourished in the Mughal courts of the late sixteenth century, and transports it to the present day. "His work constitutes a unique synthesis of traditional motifs and techniques with current issues and the formal language of contemporary abstract painting." Among the art installations on show is I Want You To Stay With Me, which features dark red pools across the gallery floor that are filled with countless ornamental flowers, intricately handpainted in perylene maroon. 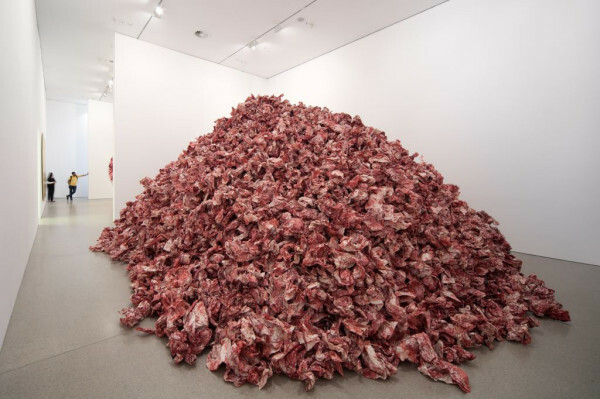 While And They Still Seek The Traces Of Blood is a huge heap of thousands of crumpled sheets of paper on the art gallery floor. Each piece of paper however has an images from earlier works by Qureshi printed on them.He has taken this title from a Faiz Ahmed Faiz poem that refers to people who have been buried without their lives honoured or the circumstances of their deaths investigated. 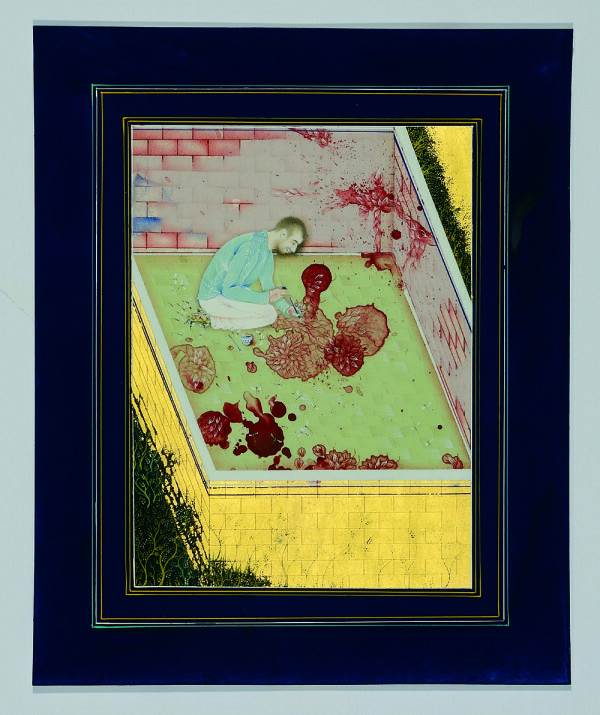 Imran Qureshi studied in Lahore, Pakistan, at the National College of Arts where he now teaches other students in the tradition of miniature paintings. Some of his exhibitions have been displayed at the Metropolitan Museum of Art in New York and for the Sydney Biennale and the Sharjah Biennial. Opening hours - Tuesday – Sunday and Bank Holiday Mondays, 11am - 6pm.